John Arthurs has been involved in commercial real estate sales and leasing for over thirty-eight years. He currently works as a Senior Broker Associate in the New Orleans office. Previously, John served as a real estate commercial lending officer in the banking industry. He has worked with many national and regional clients including a thirty-eight-year relationship with Wendy's International, Inc. that includes identifying, negotiating, and closing over eighty-five transactions for Wendy's restaurant locations throughout Louisiana and the Mississippi Gulf Coast. John is a past recipient of the New Orleans Realtor Ruby Award for the most commercial transactions and a multiple recipient of the Super Salesman Award for excellence in sales and leasing. 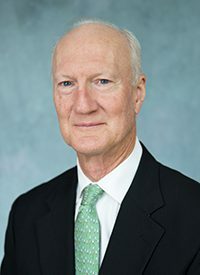 Mr. Arthurs is a graduate of Tulane University, past Chairman of the East Jefferson Chamber of Commerce, and a Board member of De La Salle High School in New Orleans.